"I think they're low life, they have no regard, they're risking their own lives continuing to enter the same neighborhoods," one victim said. 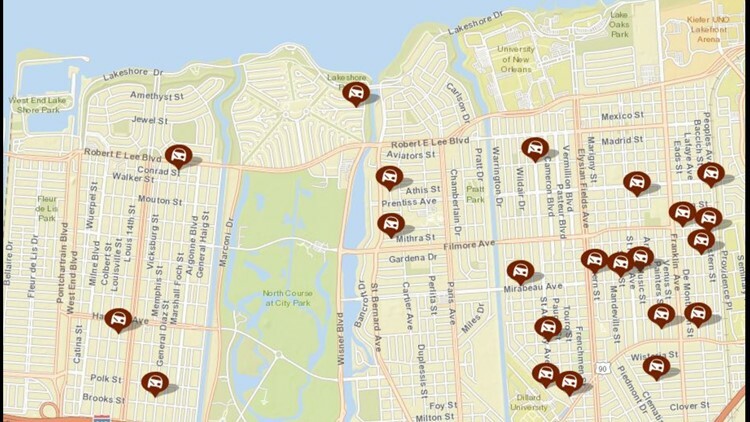 NEW ORLEANS — Police said they are investigating 27 different car burglaries that were reported in the Gentilly and Lakeview neighborhoods this weekend. The district covers the Lakeview neighborhood to Gentilly, and this weekend residents there said they experienced a rash of car burglaries. One victim told Eyewitness News reporters that two men damaged his truck early Saturday morning in the Lakeview area. "I think they're low life, they have no regard, they're risking their own lives continuing to enter the same neighborhoods. [I'm] really disgusted, it's been an ongoing issue in the neighborhood," the man said. He said he saw two people get out of a white Ford F-150 and smash his window to get inside and rob him. Police ask that anyone with information that could help identify and catch the suspects call Crimestoppers at 504-837-8477. The New Orleans Crime Map displays information obtained or developed from received reports of criminal activity in Orleans Parish (click here).